The goal of automation is to reduce time, effort, and stress when it comes to using technology during a meeting. As technology becomes more ingrained in our day-to-day activities it should make meetings all the more efficient and effective. The majority of key decision makers recognize this trend, as well as the perils of having technology and automation that doesn’t work. 55% of CEO’s want to do more to measure the impact and value of innovation. What better place to start than the automation of your conference room? The key to effective automation that will save time, energy, and headaches is to design it to meet the needs of the room. Here are some helpful questions that will play into the decision making process when automation is implemented. How many people usually speak? One main person? Or several? What is the source of the presentation? Laptop? Tablet? Multiple sources? 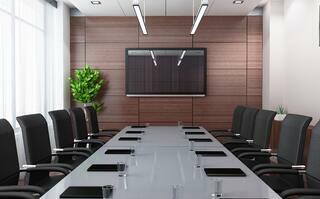 Answering these questions will reveal some of the solutions that your conference room needs. At the end of the day the room needs to work as it is intended to. Dependability, reliability, collaboration, and ease of use are all features that your automation should have; otherwise your meetings will be doing more harm than good. As new features, platforms, and services become available, the A/V technology businesses are using are becoming more internalized with information technology. In order to get the most out both, your A/V integration and your internal network, each side needs to understand what the other is doing and why. Link Integration Group, a Baton Rouge based A/V integration firm, designs business-drive solutions for your technology and communication needs.